We made our first trip to Windcliff, Dan Hinkley’s esteemed garden in Indianola, on a hot Saturday afternoon in early June. 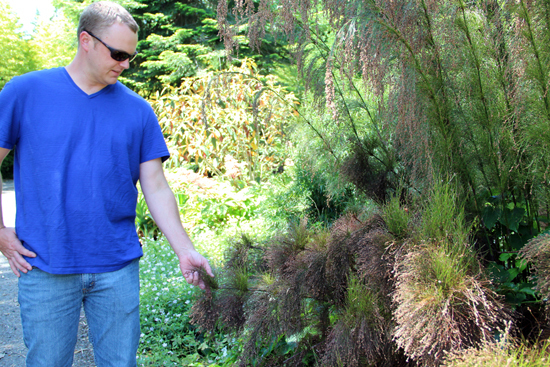 It was a Northwest Perennial Alliance Garden Open Day. If you missed it, do not worry. There are plenty of opportunities to visit Windcliff this summer. The road that one travels to reach this destination does not publicize the treasured garden that lies ahead. It’s shaded and nondescript, full of curves and really patient drivers who must pull off to the side so that you can get by. In a moment of uncertainty, we turned around to make a call for clearer directions. We were actually on the right track. Who says that gardening doesn’t offer the thrill of adventure? 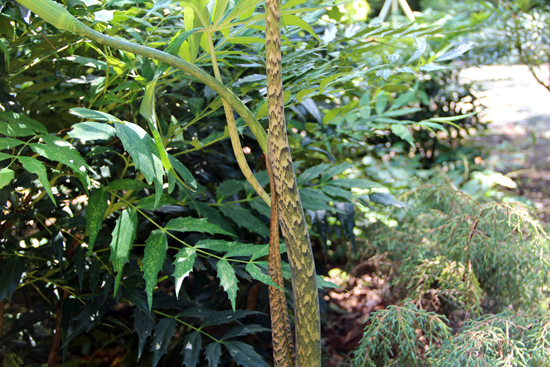 We saw a plant with a stem that resembled a snake and one that looked like a cloud of feather plumes. 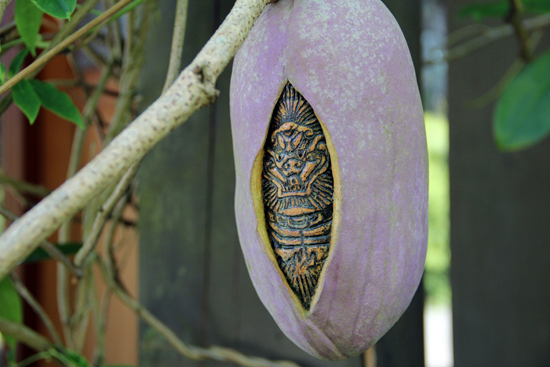 The garden art on display–pods w/ etchings of a dragon’s face hanging like lanterns, frogs made of concrete wading in a bird bath–added a delightful sense of the unexpected. 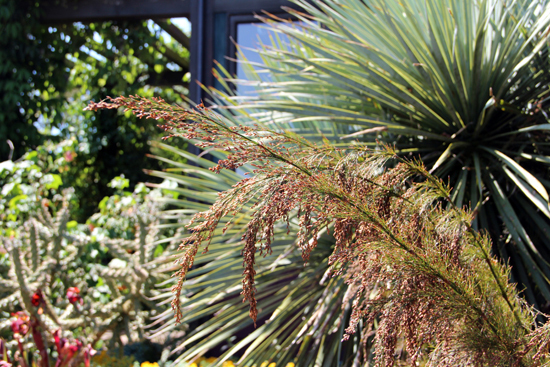 Visit, and you will see: a perfect view of Mt Rainier, swaths of Agapanthus, palm trees that feel native somehow, and hummingbirds fluttering and darting as they wait their turn for the feeder. 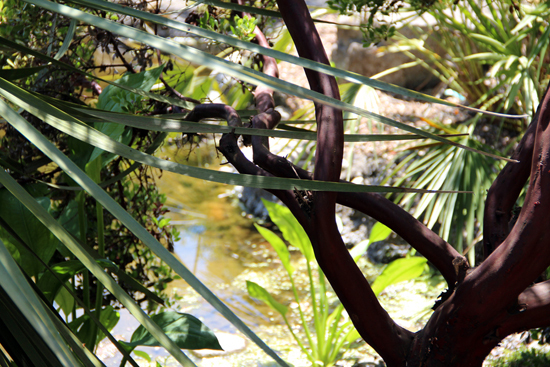 It’s a garden that transports you to another world. Dan Hinkley’s world. 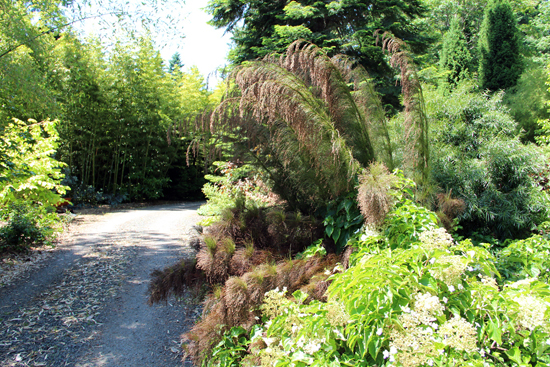 This gravel road is lined with different types of bamboo, mahonia and many other interesting plants that you’ve likely never seen before. This plant was begging to be touched! This is one of many pods that hang at the entrance door. The detail is exquisite. 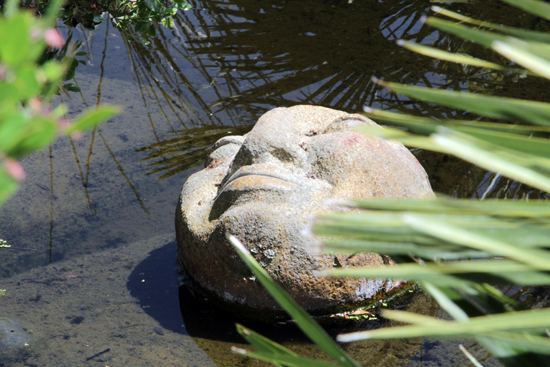 This smiling face is perfectly placed in a shallow pond. 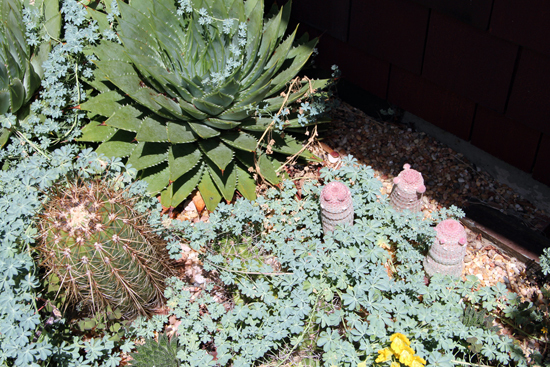 Cactus will grow outdoors here in the Pacific NW in the right microclimate. 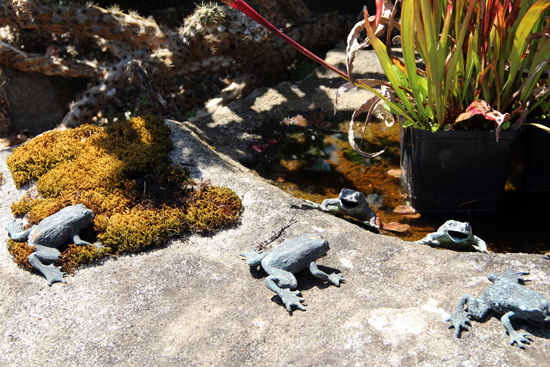 Water or moss–which would you choose? The Agapanthus were not yet in bloom at the time of our visit. To witness them in their full glory is a perfect reason for us to return to Windcliff. If you’ve been to Windcliff, log in to Facebook and let us know in the comments section below what you love most about this garden.